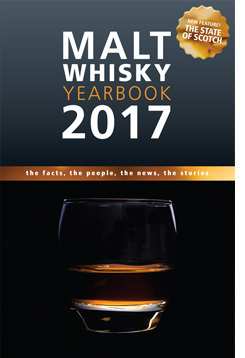 John Hansell of Malt Advocate fame just announced his top 10 whiskies of 2009. Firstly, I must say how much I appreciate all of the work he does, the magazine, WhiskyFest, What Does John Know? blog, his input, his reviews, etc… If you’re not familiar, though I somehow doubt it, please check out his blog and Malt Advocate Magazine. Great stuff! Here is Malt Advocate’s list of the Top 10 Whiskies of 2009 as rated by John Hansell and Malt Advocate magazine. This being said, John, if you’re reading, perhaps a top 10 list of “affordable” whiskies would be a nice addendum to your current list?? Until then, if you’re looking for some good whisky with little cash in hand, I know Whisky Party has a list of 40 Whiskies under $40 (and a nice list it is). 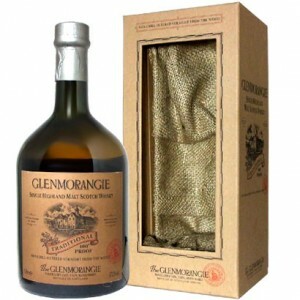 The Nectar D’or was the first Glenmo I’ve ever tried and actually, the 2nd bottle of whisky I opened my wallet for. 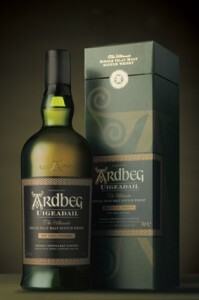 To this date, it is in my list of top 3 whiskies. 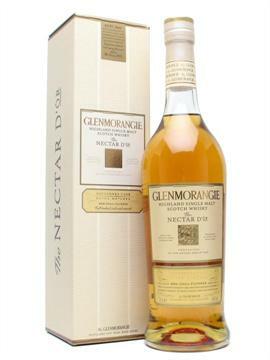 The Nectar D’or was extra matured in Sauternes cask, imparting very fruity, syrupy goodness!! In March, The Jewish Single Malt Whisky Society will be doing a vertical tasting of the current standard Glenmorangie line. It’s no secret that there is a warm spot in my heart for their nectars, especially this one. I’m looking forward to it and to blogging about our thoughts. Initial whiff — Apricot jam, actual Sauternes (no initial whisky scents, pure Sauternes wine; delicious! ), loads of vanilla, some coconut and a tad bit of smoke, more like apricot jam on burnt toast (after having scrapped off the burny parts with a butter knife). On the mouth — My G-d, my mouth instantly started watering. Very fruity, apricots again, pecans, oak and coconuts. A bit peppery and some gobs of honey, sugared honey. Finish — Long, this stuff coats your mouth quite well, in the way back of my tongue the pecans came back. Quite lovely stuff. Holy cow! This liquid proves you do not need to be a smokey/peaty whisky to be a manly whisky. On the mouth — Fruity, cherries (tons of them, the maraschino type), vanilla, oak and some unexpected, albeit a slight amount of, smoke?? Finish — Long, spicy, burny, fruity. This is a “should not have had this on lunch” type of dram. Big fan! In sum — A great effort on behalf of the Sixteen Men of Tain. I think I liked this more than the Astar. Someday I’d like to do a side by side; the Traditional vs. the Astar to see if I’d make the same statement again.